Visitor centres in Dumfries and Galloway have been awarded silver status under the Green Business Tourism Scheme. The centres at Kirroughtree, Clatteringshaws and Glentrool are all part of Forest Enterprise Scotland and have had around £4.5 million invested in the improved visitor facilities. The UK-wide Green Business Tourism Scheme promotes sustainable tourism. Businesses are assessed to bronze, silver and gold status against a number of eco-friendly criteria, including energy and water use, waste management and biodiversity. Keith Muir, head of tourism with Forest Enterprise Scotland in Galloway said: “Everyone is delighted to have achieved silver status so quickly our aim is to now go for gold in the coming years. “We see this award as a big reward for all the hard work everyone has put into making the new centres great places to go, coupled with being environmentally friendly at the same time. 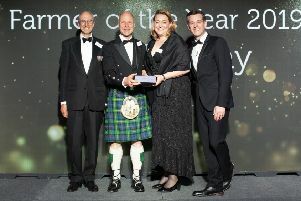 The awards are recognitions that Forest Enterprise Scotland and its visitor centre operators, Galloway Lodge Preserves, Churchill Catering and The Breakpad, are all looking at ways to promote a sustainable and environmentally friendly service. The Green Business Tourism Scheme were also particularly interested and impressed by the ground source heat pumps which are used at Kirroughtree to heat the building. The system uses no fossil fuels to directly heat the building or water. Instead, the system takes the ground temperature and transfers that energy into under floor heating and hot water.